Less than five minutes to Rt 95 and under ten minutes to the Attleboro or South Attleboro MBTA stations, 7 Musket Rd in Attleboro is truly the perfect location for Boston, Metrowest, and Providence commuters or for those that travel a lot especially if utilizing the train or TF Green airport. Shopping, restaurants, parks, recreation, and medical facilities… just over the North Attleboro line, you’ have everything you could need within minutes. This could be your Happily Ever After Home with the addition of your style and a little updating. 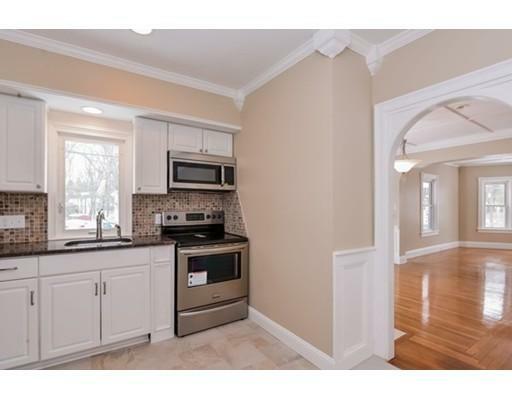 A pleasure to show… just give a call 508-930-5259 or send an e-mail. And please feel free to reach out with any questions any time! This home deserves a wonderful new owner – could that be you? Always a pleasure to be of any assistance to you or anyone you know who is thinking about buying or selling a home. 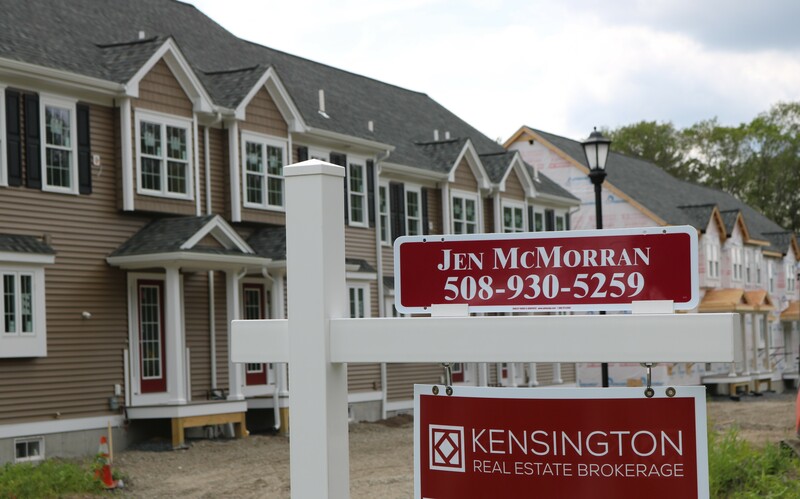 I love to work hard for my clients and their referrals throughout Massachusetts and Rhode Island. Perfect Affordable Carefree Condo Options! Do you know someone looking to own their own home that would also love the simplicity of condo living? How does it sound to be able to enjoy lush grounds and landscaping without having to mow a lawn or weed a garden? Love to relax around a pool but don’t have the energy or know-how to maintain it? With winter approaching, wouldn’t it be awesome to have someone else plowing and clearing the snow? Well… I have two affordable and meticulously maintained options for you! Welcome to Easton Crossing… this sought after, well-established condominium complex is set just off of Washington Street in South Easton. Easton Crossing boasts gorgeous grounds, a club house available for functions, an in-ground pool area, tennis courts, exercise room, spacious green areas, fenced in dog park, and an awesome location. End units are far and few between so 2 Adam Street, Unit 9 is a rare offering. This light and bright unit features extra windows in the living room, dining room, and both bedrooms. Enjoy freshly painted walls, new flooring on the first floor, great open floor plan, sliders to a private patio, security system, and air conditioning. Pet friendly and FHA approved complex!! 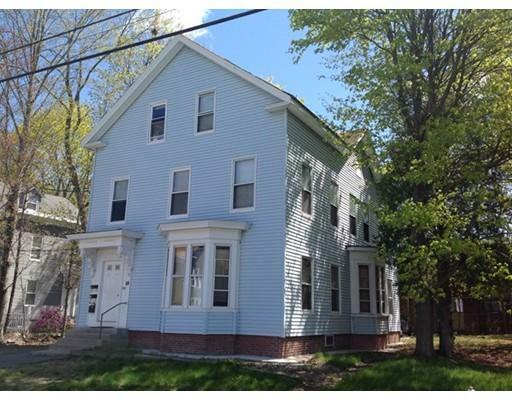 14 Dailey Street, Unit F is located in Woods Edge Condominiums just minutes to a thriving Attleboro center and newly renovated train station. This garden style condo offers 960 square feet of living, two bedrooms, awesome open floor plan, new flooring, stainless and granite kitchen, tons of closets (master bedroom offers two closets, guest bedroom features a walk-in), and a great complex with sprawling green grounds, plenty of parking, in-ground pool, laundry in the building, and electric bills that average under $50/month which include the electric heat. Great affordable option for owning your own home! Pet Friendly complex too!! As an added bonus, I am working for two sets of awesome sellers! Olde Orchard Estates – a neighborhood buyers wait for! 41 Olde Tower Lane in North Attleboro, Massachusetts is the type of neighborhood and luxury home that buyers wait for! If you are relocating from another area or State, you can feel absolutely confident about your decision to settle in Olde Orchard Estates. This spectacular luxury home sits on a spacious cul-de-sac lot with other high-end classic homes. As soon as you step into the foyer with soaring ceilings, however, you will note that this gorgeous Contemporary Colonial is simply a step above the rest and unlike any other homes on the market right now. 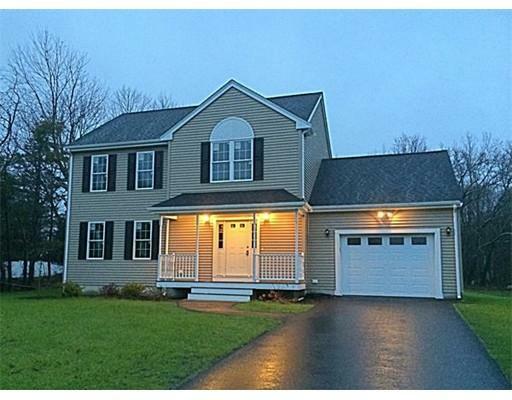 3100 square foot, 4 bedroom, 2.5 bath, Contemporary Colonial, 41 Olde Tower Lane in North Attleboro is just the right blend of contemporary style and desirable classic features to make it a real Home . Listed at $560,000. Contact me now for your private showing… you won’t be disappointed! Would you like to see other homes as well? Which towns and price range? Located in Southeastern Massachusetts, the town of North Attleboro offers a wonderful community atmosphere, loads of restaurants and shopping opportunities, easy access to highways and commuter rail, and great recreational areas like World War I Park & Zoo, Julia’s Garden, Falls Pond Beach, the World War II Public Pool and more! 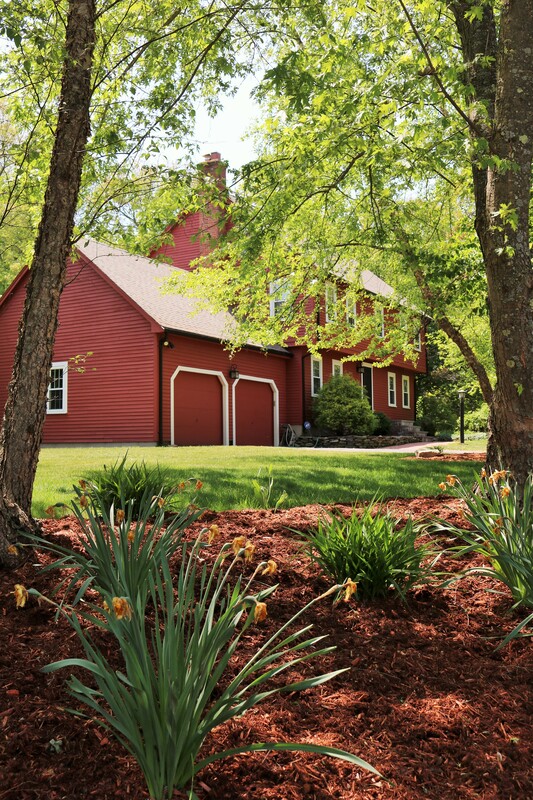 Whether needing to travel north to Boston, south to Providence, or west to Marlborough, North Attleboro provides a central location convenient to traveling through Massachusetts and Rhode Island. 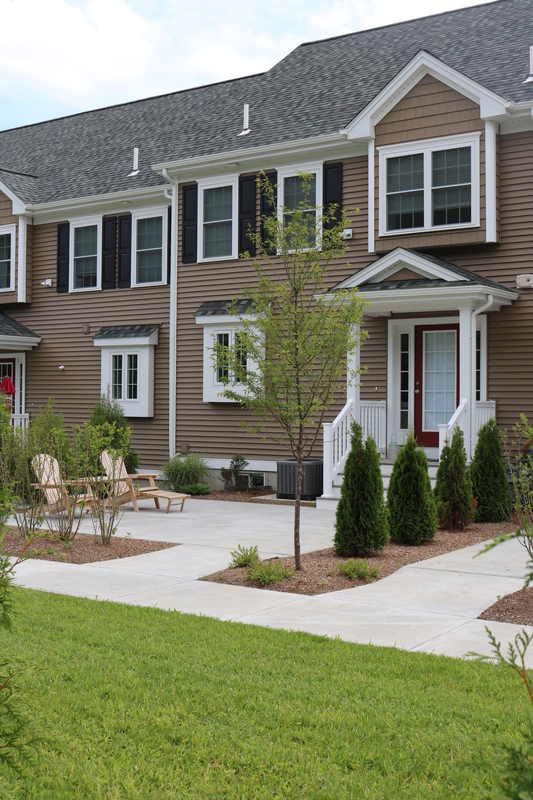 And Olde Orchard Estates… every home is designed differently offering its own beautiful unique style, spacious yards, and peaceful setting as it is just one street ending in a cul-de-sac. Olde Tower Estates is the perfect alternative to the more sprawling subdivisions. Buy a Kitchen, Get Townhome! What works better for you? 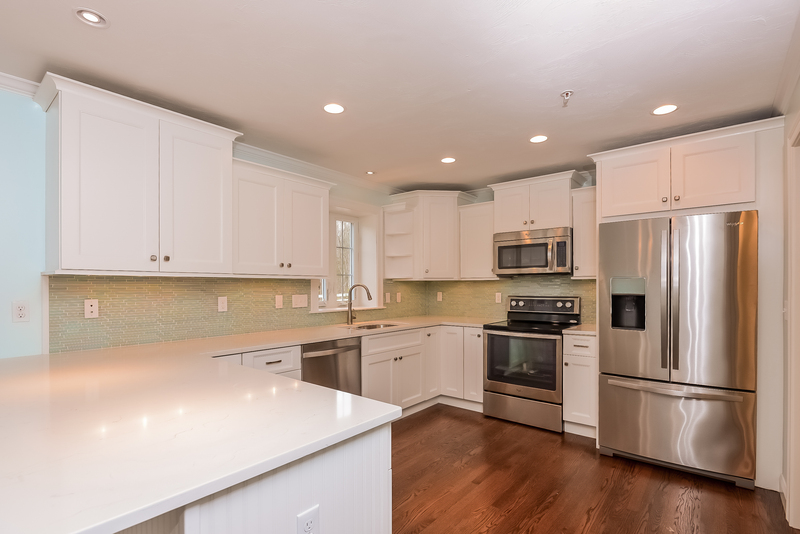 We have two kitchen styles to choose from and each comes with a gorgeous new 3BR, 2.5BA Townhome at Flynn Terrace! The gorgeous kitchens with a breakfast bar, loads of cabinet & counter space, and incredible style are featured in our two-car garage models. We currently have Units 11 ($314,900) & 12 ($319,900) available for November delivery. 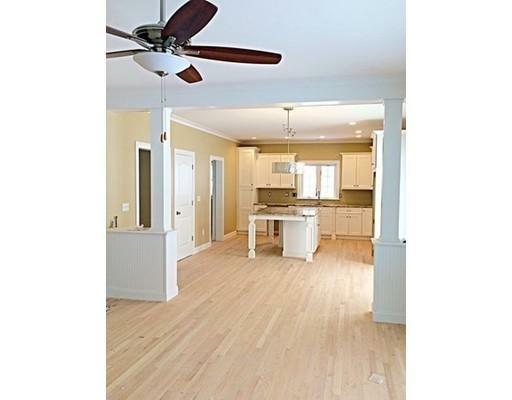 Get under contract now and get ready to pick your cabinets, flooring, granite, tile, and paint colors. What an opportunity to design a custom townhome that suits your style! The kitchen below boasting a granite island with cabinets underneath can be found in our one-car garage models. We currently have one of these units left (#18). Unit 18 is offered at $317,900, features a full basement, and will be ready in September. 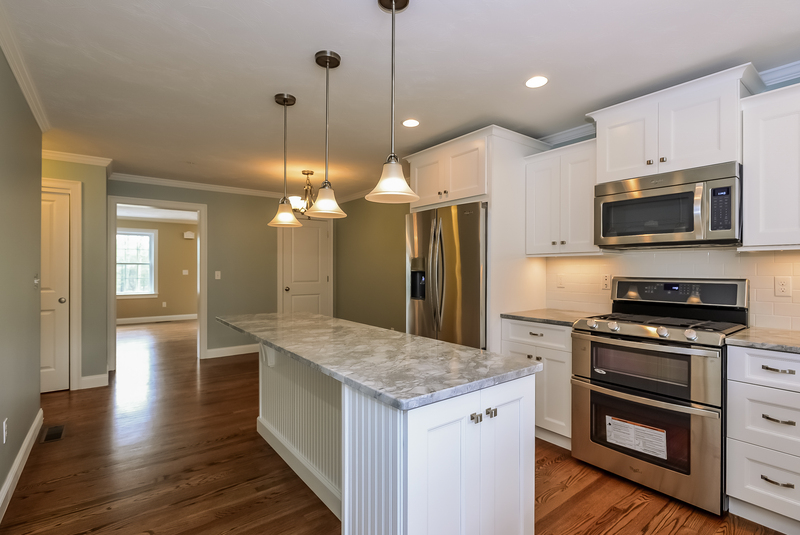 Act fast and you will still have time to choose granite, tile, and paint colors. Survey says…. it’s going to be a busy fall! 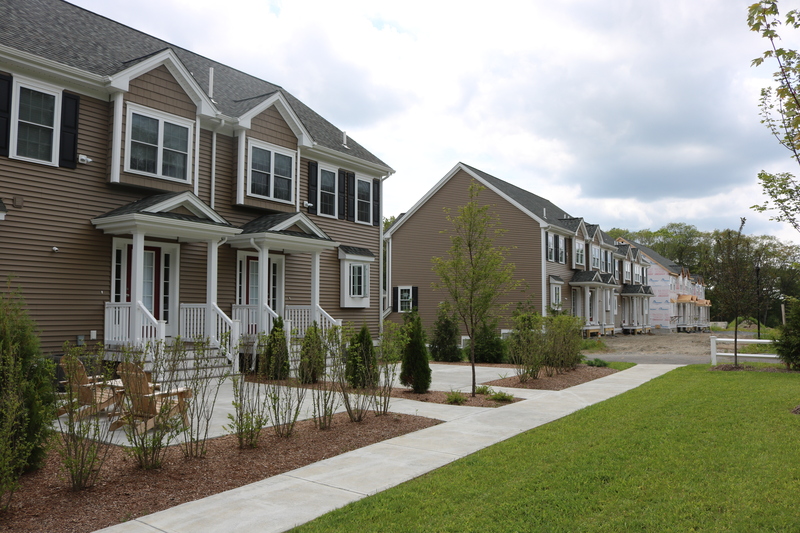 A recent survey of Realtors indicates a “strong outlook” for Townhome sales into early fall. After that our last winter in Massachusetts, I am not surprised! We are ready over at 1400 Commerce Way in Attleboro to provide you a hassle free winter in a beauitiful home. Stop by my Open Houses Saturday or Sunday, 12:00-2:00 at Flynn Terrace and see for yourself how style and convenience can be combined for fabulous living! Call Jen 508-930-5259 to set up a showing or if you need help with directions. Flynn Terrace Alert – Unit 18 is Available! Walls are up!! This unit won’t last now that it is really taking shape. Again, this is the last of our one car models with full basements at Flynn Terrace. If you’ve been thinking about it, now is the time. Give a call 508-930-5259 and let’s write up a contract so you don’t miss out! 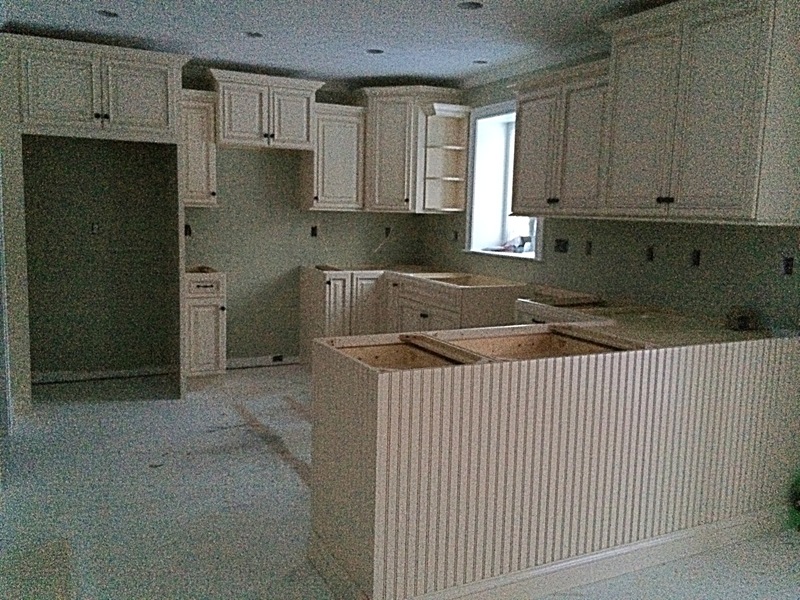 Act fast as there is still time to choose cabinets, flooring, tile, granite, and colors. all of the beautiful finishes that come standard in these sought after townhomes. This the last unit of this model available. Just a mile from Route 95 and minutes to the train. Easy to show by appointment! I am typically not too far away so short notice can work. Welcome Home! If you have been searching for a 4BR, 2.5BA Colonial with great space, in great condition, in a great neighborhood… you search is over. 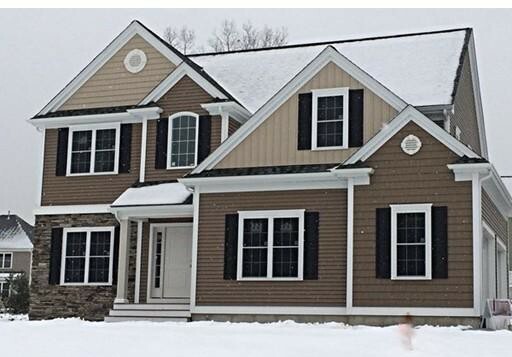 Stop by the Open Houses this weekend or call/text me at 508-930-5259 to schedule a private showing This beautiful home at 2 Hemlock Way has been lovingly maintained and is truly move in ready! Just in last five years, owners have replaced all of the windows, refinished floors, painted the exterior, and added on a huge composite deck ready for your summer entertaining! Stop by one of the Open Houses or set up a private showing… won’t last! We’ve got it all available this Saturday and Sunday for you to check out! to build your Custom Home. 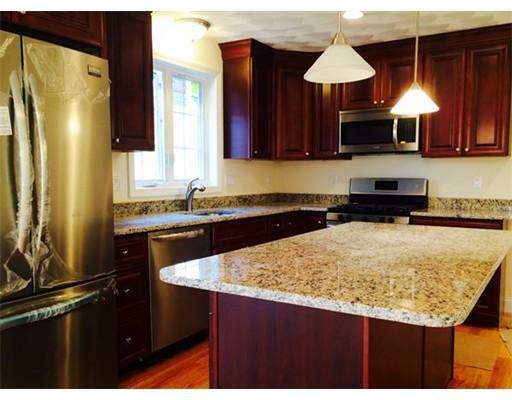 New 3BR, 2.5Ba Colonial Up & Ready! 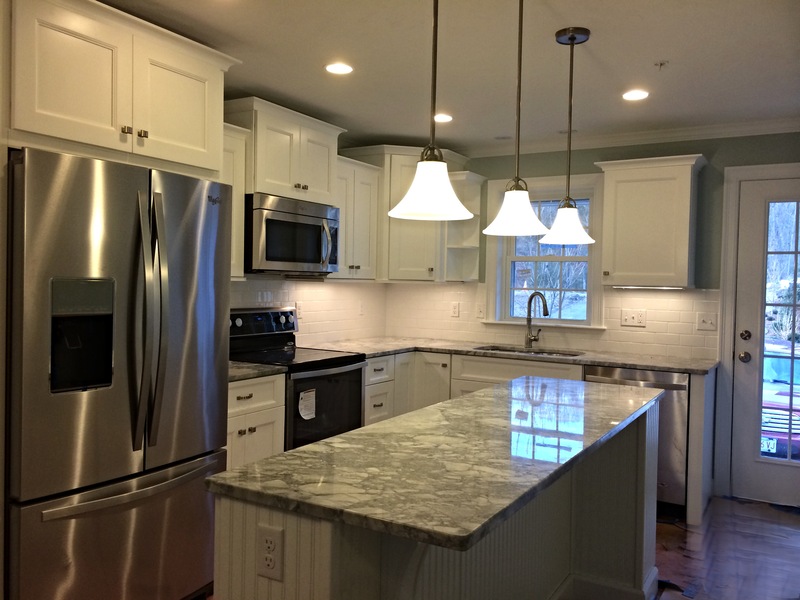 Beautiful and luxurious restoration and remodel! New road between Tiffany and County Streets. I am coming from an 11:30 showing on Park Street. If I’m not there when you arrive, give a call/text 508-930-5259 and I can let you know my ETA. A work in progress… but what big progress in Unit 1 and Unit 2, the first of our two car garage units!! 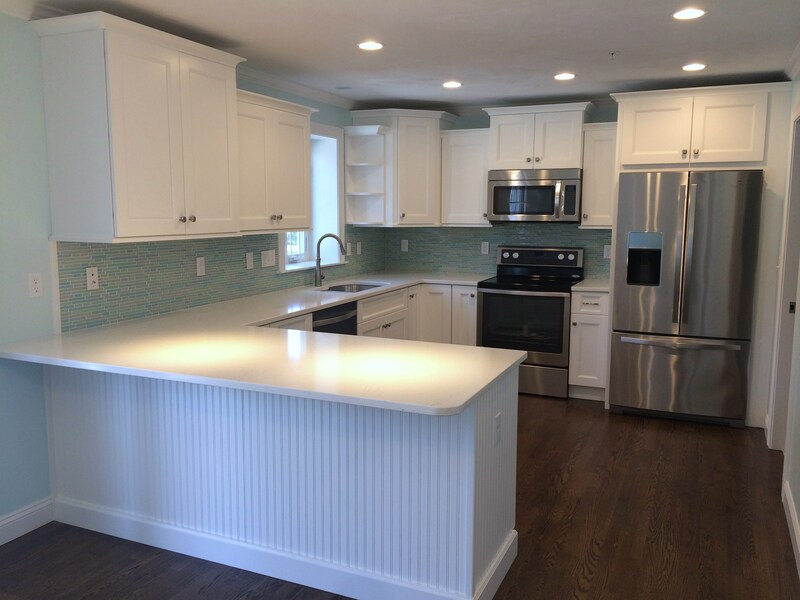 Mill work complete, painting complete, hardwoods installed AND cabinets have been installed in the kitchens of these these gorgeous 3BR, 2.5BA, two car garage units. Two car garage end units are offered at $312,900. Middle two car garage units are offered at $307,900. Easy to show! Just give a call or text 508-930-5259. Click here for the photo gallery of completed units to get an idea of the quality finishes to come, allowances, add on’s, and floor plans. More pictures coming… this was taken as the sun was going down… but doesn’t it look great! !